Last year I conducted an interview with Phil Demers, a longtime advocate for change at Marineland. Prior to our discussion he had become the target of a lawsuit launched by Marineland as the organization felt he was defaming them. Over the past year Mr. Demers has seen his support continue to grow, while it appears Marineland's popularity has continued to decline at an even greater rate. This week Demers filed a countersuit against Marineland in the amount of $1 500 000. I am incredibly proud of Phil Demers today. He is an inspiring example to all in animal welfare that you must stick up for yourself, and more importantly the animals. I'll be eagerly following this case. To my estimation Marineland has no one but itself to blame. Just this week John Law of the Niagara Falls Review wrote a column on the current state of Marineland. The times are changing for the better and peoples' perception of zoos, circuses, and aquarium theme parks increase in their negativity on a daily basis. It is time for these BUSINESSES to do better by the animals. "All we want is justice - for the animals, and for the animal abuse whistleblowers. Nobody should remain silent about animal abuse, and we're still here fighting." You can read Mr. Demers full counterclaim here. Phil I'm sure I echo the thought of my readers when I wish you the best of luck in seeing justice served in this case. 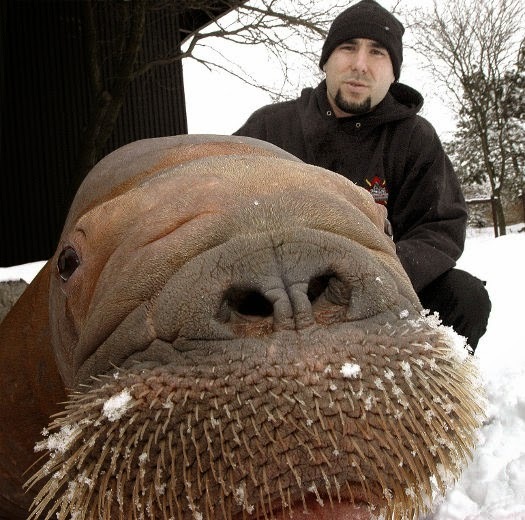 Justice for you, justice for Smooshi, and justice for countless animals held in captivity.